S 2/c Elbert C. Higgins Jr., son of Mr. and Mrs. E. C. Higgins, attended Frederick High School. 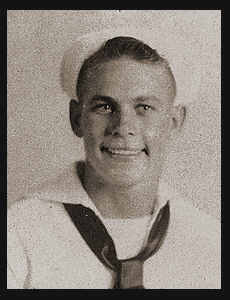 Entered the Navy in 1944, trained in St. Petersburg, Fla.; served in S. Pacific and Japan. Awarded Asiatic Pacific Ribbon with Battle Stars.